There are a ton of people out there worried that withdrawing 4% of their portfolio each year might cause them to extinguish their retirement savings prematurely. Known as the “4% rule,” many in the financial media think that the strategy no longer works. There are a couple high profile financial researchers who’ve done work on this issue recently. And to answer my client’s question I wanted to review all the current data. Let’s start with where the 4% rule came from, and why it’s so popular today. Bill Bengen is credited with creating the 4% rule, based on his 1994 article “Determining Withdrawal Rates Using Historical Data.” In his article, Bengen wanted to find the maximum amount a person could withdraw from a portfolio in retirement and never run out of money. To conduct his analysis, Bengen used rolling 30 year retirement periods starting in 1926. He then simulated how a portfolio of 60% stocks and 40% bonds would perform over all the possible time frames. For example, his first 30 year period would have been from 1926 to 1956. He took the performance of a 60%/40% portfolio over those 30 years, and calculated the maximum percentage a retiree could withdraw from the portfolio each year without ever running out of money (indexed for inflation). He then took the next period, from 1927 to 1957 and ran the same simulation. He repeated this process year by year until he ran out of data to use. Since he originally wrote the article in 1994, the last year of data he had at his disposal was 1993. This means the final 30 year period he simulated was from 1963 to 1993. In total, there were 36 simulations. This is where the 4% rule comes from. 4% was the highest withdrawal rate that succeeded in each of his 36 simulations. Withdrawal rates lower than 4% would have left money on the table in every simulation. Withdrawal rates higher than 4% would have caused retirees to run out of money in one or more simulations. In other words, 4% was the rate where a retiree would never run out of money, even when experiencing the very worst market conditions of the 36 trials. In his article, Bengen noted that the simulations included three different periods where the stock market saw significant declines. The first was the early depression days (1929 – 1931), the second occurred around the beginning of World War II (1937 – 1941), and the third was the recession from 1973 – 1974. The 4% rule gained so much popularity because based on Bengen’s work, the public recognized it was the “can’t fail” withdrawal amount they could count on in their retirement planning. Life expectancy at birth has increased by about 3 years since 1994. A 60 year old man today is expected to live another 21.3 years, a woman 24.3 years. 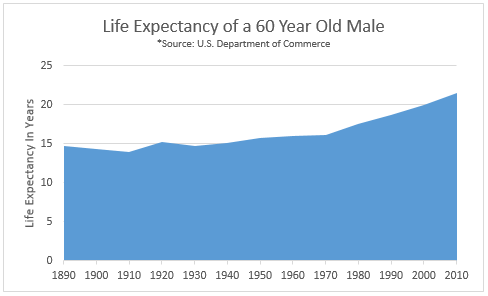 Even though this is still less than the 30 year period the 4% rule incorporates, the fact that people are living longer means there’s a slightly higher chance they’ll outlive their money. And with advances in medical technology, it’s likely that life expectancy will continue to creep up throughout a retiree’s golden years. Since the financial crisis, a slew of market pundits have predicted that U.S. economic growth going forward will be lower than in the years included in Bengen’s data set. The theory is that interest rates and market returns will suffer as well. At Pacific Investment Management Company (PIMCO), founder Bill Gross and Chief Investment Officer Mohamed El Erian coined the term “New Normal,” in reference to low future growth and market returns. Both have since moved to other firms, but the term has stuck. And remember, the whole premise of the 4% rule is that historical stock and bond returns will persist into the future. If the “New Normal” is correct and market returns are indeed lower, a 4% withdrawal rate might be too much for your retirement portfolio to handle. Bengen’s test ran 36 different retirement periods that spanned a total of 68 years. And in that time, he noted 3 periods of significant stock market decline. These days financial crises seem to be happening more frequently. In just 22 years since 1994, we’ve seen a Russian debt default, the dot com bubble, and the mortgage meltdown. While I don’t know whether all these events would qualify as “severe” under Bengen’s definition, additional market volatility is a point of concern for retirees. With so many baby boomers retiring and two financial crises burned into our short term memory, lots of people out there are asking whether we can safely rely on a 4% withdrawal rate over a 30 year retirement. Wade Pfau is a relatively well known financial researcher, as well as a professor for the American College. 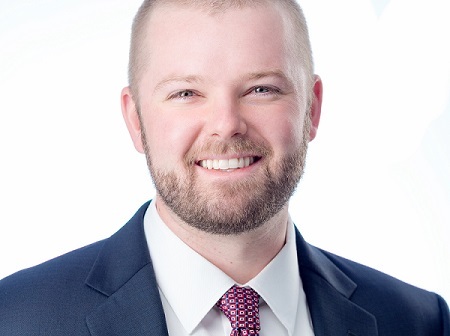 Pfau and several other researchers basically tweaked Bengen’s original experiment, and published their findings in the Journal of Financial Planning in 2013. The paper was named “The 4% Rule is Not Safe in a Low-Yield World,” and was meant to test how much a persistently low interest rate environment would impact the 4% rule. Remember that in the original experiment, 4% was the maximum a retiree could withdraw each year and not run out of money in any of Bengen’s simulations. Pfau and his team started by re-testing how a 4% withdrawal rule would have performed, using the additional 19 years of data since 1994. With the extended time frame, they found that a 4% withdrawal rate would have failed about 6% of the time. This isn’t quite as good as Bengen’s initial 100% success rate (which of course is where 4% came from), but is still pretty high. A 94% success rate would be acceptable to most retirees I speak with, including my client concerned about he and his wife’s retirement. Pfau’s second test was the meat of his group’s paper. To test how a low interest rate environment would impact the 4% rule, the group recalibrated the model by using current bond yields. Rather than use historical bond rates like Bengen did, Pfau instead plugged in the current yield of 5-year TIPS. (TIPS are treasury inflation protected securities – basically treasury bonds that account for inflation). When Pfau’s paper went to print, 5-year TIPS were about 4% lower than they were when Mr. Bengen ran the initial simulation in 1994. Pfau wanted to see what would happen if rates stayed at such low levels, as the “New Normal” philosophy implies. Dr. Pfau did not change any of the return expectations for equities. And after running the simulation again, he saw the failure rate rise from 6% to 57%. That’s a massive jump. Obviously, most retirees (my concerned client included) would NOT be OK with a 57% chance of running out of money. Pfau incorporated this view into his paper in an additional two tests. Both assumed that interest rates bounce back to their long term average, rather than staying at their current all time lows. The first simulation assumed this “reversion” happens in 5 years, the second assumed this takes place in 10. This had a drastic effect on the outcome. If rates bounce back to their long term levels in 5 years, the 4% rule has only an 18% failure rate. If they bounce back in 10 years, it has a 32% failure rate. Michael Kitces is a popular blogger and another financial researcher who has done quite a bit of work in this area. Kitces owns and runs Nerd’s Eye View, where he blogs on financial planning and the financial industry. In his research, Kitces’ also wanted to test whether the 4% would still hold up throughout the wild market swings of the 2001 and 2008 crises. Rather than assume that bond yields would remain at their near-historic lows, Kitces basically re-ran Bengen’s initial experiment using long term averages. The only difference was that his simulation incorporated a longer time period than both Bengen’s and Pfau’s tests. I should probably note that Kitces’ work was a little more “back of the envelope.” He is a very adept researcher, but as far as I know his work was published only on his blog and not in a financial journal. Papers published in journals tend to be vetted and scrutinized by experts quite a bit more. And while I don’t see anything wrong with Kitces’ work, it probably hasn’t “run the gauntlet” quite like Pfau’s paper has. Kitces’ work finds that the 4% rule still holds up surprisingly well. He points out that one of the biggest risks retirees face is that the stock market crashes immediately after they retire. The way the math works, it’s far more difficult for a retiree to weather a big hit to their portfolio earlier in retirement than later in retirement. This idea is called sequence of returns risk. His analysis looked at how people were faring who retired in 2000 and 2008, directly before their respective market crashes. Kitces thought that simulating two other “worst case scenarios” would be a good way to test whether the 4% rule still works. He then compared that to how retirees fared in 1929, 1937, and 1966 directly before the market declines noted in Bengen’s original paper. He found that someone retiring in 2000 would be about as well off as someone retiring in 1929, 1937, and 1966. Anyone retiring in 2008 would actually be better off than each of the four other groups. Long story short, Kitces finds that the 4% rule still holds up quite well – despite the recent market crashes in 2001 and 2008. He also reminds us that the 4% rule was designed for absolute worst case scenarios, which helps us put the 2000 and 2008 financial crises in context. Yes both meltdowns were bad, but they weren’t any worse for retirees than what happened in 1929, 1937, or 1966 – the 4% rule works in every single scenario. Finally, Kitces notes that in the lion’s share of simulations, the 4% rule is extremely conservative. In his 113 simulations, retirees only finish with less than they started with 10% of the time. And in 2/3rds of his simulations, they finish with more than double what they started with. Again, this is because 4% rule was designed to weather the absolute worst financial crises a retiree would ever see. 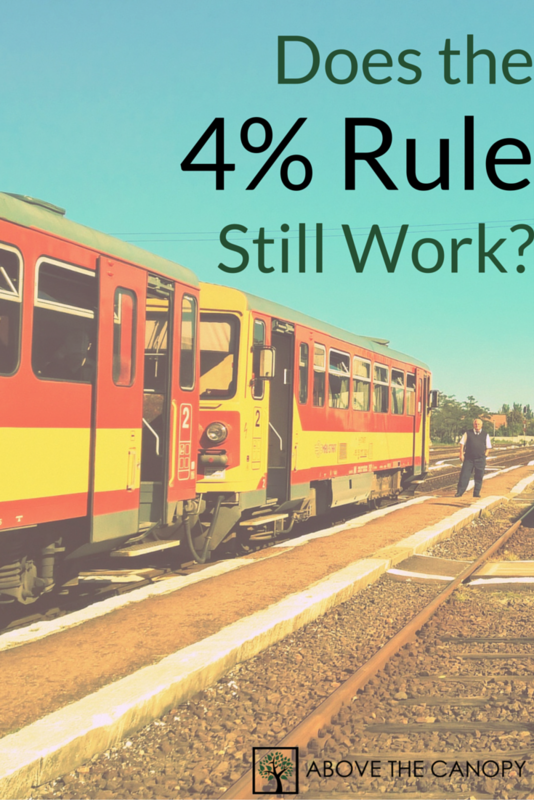 Will the 4% Rule Work for You? The cop out answer that I hear most financial advisors give is that “it depends.” This is true of course, but I’m guessing it’s not the answer you’re looking for. My take is that the 4% rule is still a great starting point for retirement spending. While it’s possible that we’ll see low interest rates and low market returns persist, and it’s possible we could see a financial crisis far worse than anything we’ve ever seen in the U.S., I think both are unlikely. Additionally, I find it very unlikely that the yield in most retirees’ bond portfolios will actually be as low as the simulations suggest. All the simulations above use the yield on 5-year U.S. government bonds that are indexed for inflation. These are among the lowest yielding domestic bonds you can find. Most retirees choose to construct a diversified bond portfolio that includes investment grade corporate bonds, preferred stocks, and maybe even some high yield securities in addition to U.S. Government TIPS. Any of these options will add significant yield to a bond portfolio, and can be diversified to avoid too much default risk. And any additional yield in a retiree’s portfolio increases the already high probability that the 4% rule works successfully. Long story short, even if interest rates stay low, there are a few places retirees can pick up some additional yield. And since the 4% still works in the vast majority of simulations already, I’m still comfortable leaning on it for retirement planning purposes. Have questions or comments? Please share them! Posted in Company Retirement Plans, Financial Planning, Investing, Retirement and tagged 4% rule, does the 4% rule still work, Kitces 4% Rule, Michael Kitces 4% Rule, Pfau 4 Rule, retirement income, retirement planning, Wade Pfau 4% Rule. First, the 4% Rule only works if you have a nest egg, so the majority of folks approaching retirement are not affected by the academics of the debate. Second, prolonged low rates will definitely affect equity market returns as an analysis of of post-1987 Japan shows, so they cannot be disconnected. Great discussion of an assumed “rule”!